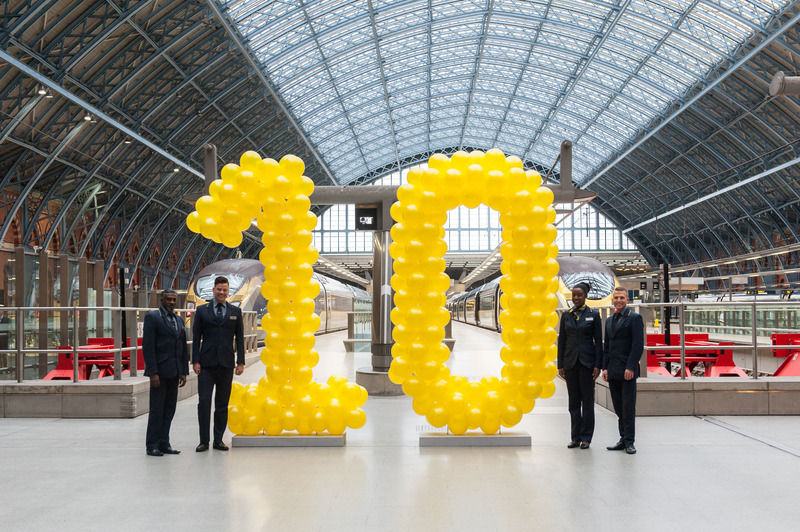 Eurostar today marks the 10-year anniversary of relocating to St Pancras International, with the improved station facilities and reduced journey times supporting passenger growth of 25% from 8 to 10 million travellers a year. Throughout 2017, the Eurostar departures area has been upgraded to further improve the experience for travellers to Europe. eGates are now in place to speed-up the security process and the departure lounge will soon welcome a new Pret A Manger and World Duty Free, due for completion early 2018. As traveller numbers have grown, so has the choice of destinations on offer. A direct service to Lyon, Avignon and Marseille launched in May 2015, and the new service to Rotterdam and Amsterdam will soon provide a seamless connection to the Netherlands. Since 2015, the Eurostar fleet has been transformed with the introduction of brand new, state-of-the-art e320 trains, and the complete refurbishment of a number of Eurostar’s original trains, fitted out with the same Pininfarina designed interiors as the e320 and also featuring free wi-fi and on board entertainment. St Pancras International, voted the nation’s favourite station in every year since it reopened in 2007, provides domestic and international travellers with high quality customer service, a unique retail offer, a range of food and drink options and regular art and music events to create a vibrant public space which attracts approximately 48m visits a year. 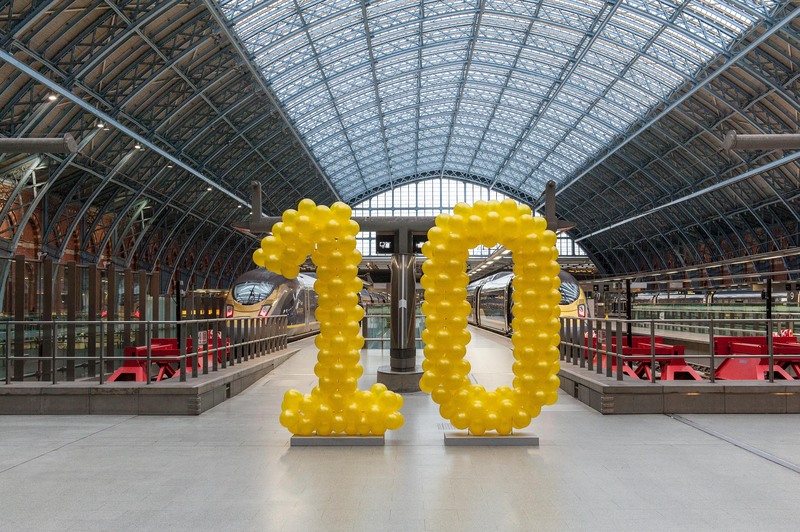 Eurostar’s move into the redeveloped St Pancras International stimulated the improvements to the wider area. Since 2007 Argent started work on London’s flagship regeneration project, creating one of its most eclectic and successful mixed use neighbourhoods. The Kings Cross estate now consists of 1.3 million sq ft of office space, housing 70 businesses, employing 12,000 people across 67 acres. 8.3 million travellers in 2007 to 10 million in 2016.